It’s our last week of this year’s storybook summer – but don’t worry we will be back next year and stay tuned over the summer as I’ll be sharing some of the past years weeks as well. 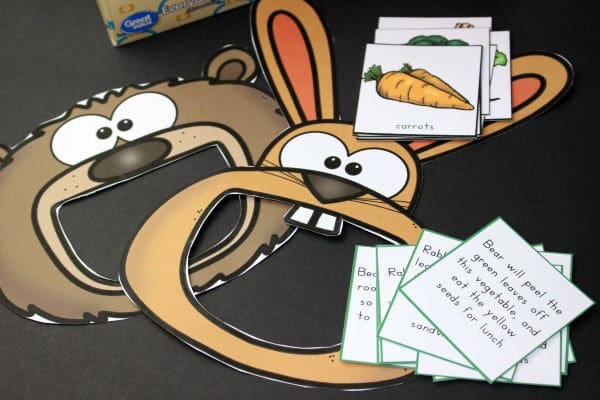 For this final week were are focusing down in the garden and have a fun game for your preschoolers to play where they sort their vegetables and feed this hungry hare and bear. Don’t you just love summer? Everything is blooming and growing, and there is so much to explore. 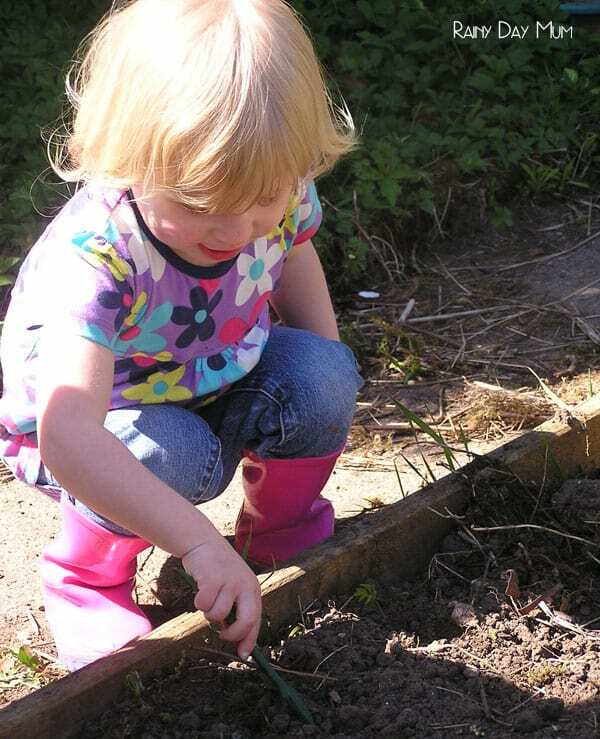 Summer is a great time to encourage kids to dig in the dirt, plant a garden, and watch their vegetables grow. A few years ago, we planted a square-foot garden. In it, we grew all kinds of vegetables. Most of the veggies we planted were ones we’d eat, but some we planted just to see how they grew. Have you ever planted Brussel sprouts? I bet you’d be surprised at how they grow. We were! When you plant a garden with your kids, you have an amazing opportunity to teach them about the parts of a plant and how plants grow. From seed to plant and back to seed again. 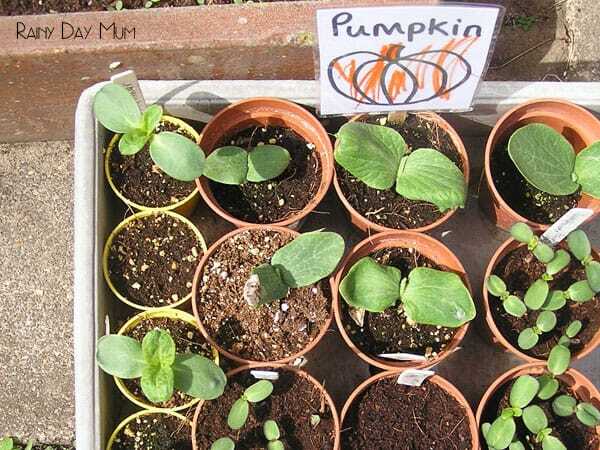 Discover the best Vegetables to grow with kids as they grow quickly and taste delicious with our guide to quick growing plants for kids. Another thing your kids will discover in the garden is that we eat different parts of each plant. Some plants produce edible seeds (beans and corn) while others produce roots that we eat (carrots and potatoes). Still others give us yummy leaves (lettuce and cabbage). Kids can learn whether their favorite veggies grow on top of the ground like tomatoes and peppers. Or, do they grow under the ground like radishes and garlic? We have included links to the books and resources we recommend to do this activity for your shopping convenience. If you purchase via these links we may earn a small commission. To illustrate the concept of where vegetables grow and what part of the plant we eat, I love reading Tops and Bottoms by Janet Stevens. 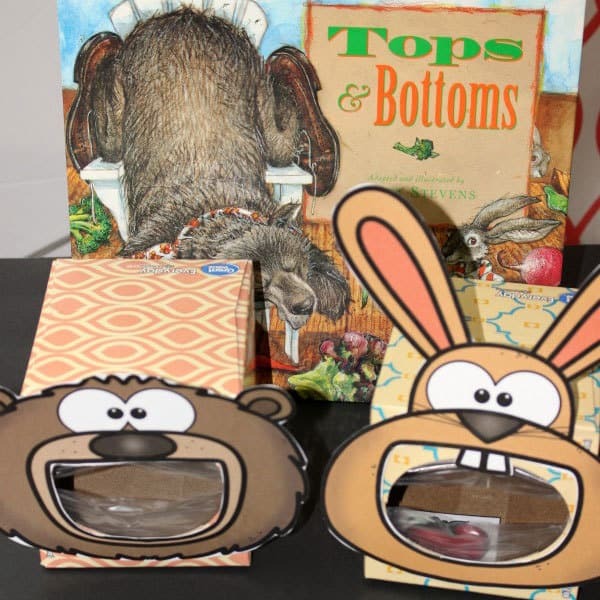 In Tops and Bottoms, we follow the antics of a clever hare who needs to feed his family. He comes up with a plan to partner with a very lazy bear. Hare will plant and harvest a garden, and he’ll split the profits with Bear. Kids will laugh as Hare plants the garden and gives Bear exactly what he asks for in each harvest. Though it’s a clever story, it does a great job of showing which parts of different vegetable plants we eat (tops or bottoms) as well as where each one grows (above or below ground). And, I love how the book is actually read from top to bottom instead of from left to right. 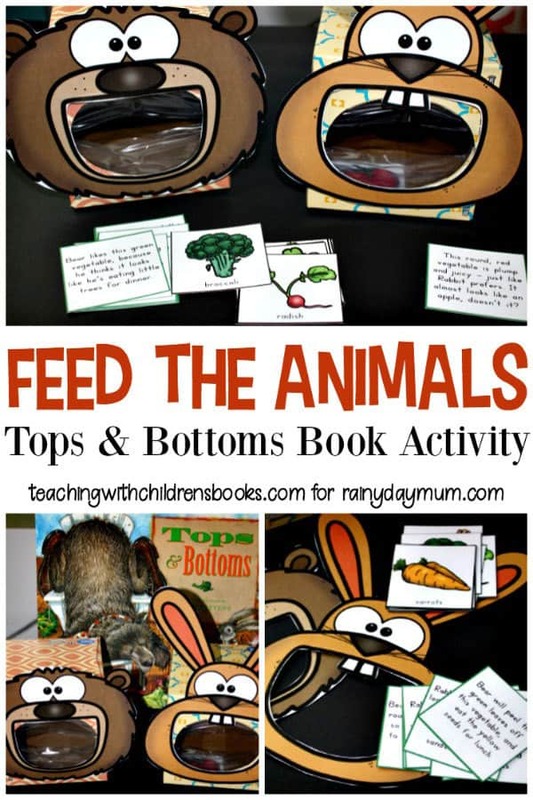 After reading the story with your kids, let them have a go at feeding Hare and Bear. They’ll follow the clues on each task card to discover which vegetable they’re feeding which hungry animal. 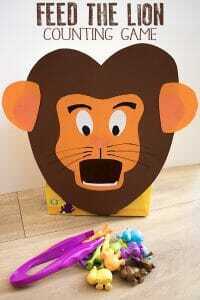 • Cut out each animal’s head, and then cut out the mouth. Glue the head to the top of a tissue box so that the mouth lines up with the hole on the tissue box. • Cut apart the vegetable cards and the clue cards. 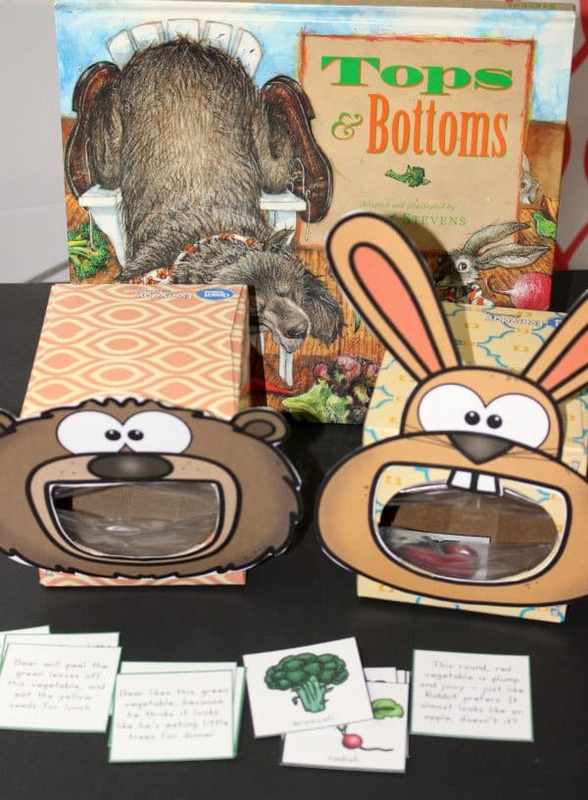 • Go over each vegetable card to be sure your kids can identify them. Talk about some of the unique features of each one. For example, a radish looks like a beet but it’s smaller. Garlic bulbs look like onions, but they are bumpier. • Have your child choose a task card/clue card. Have them read the clue and see if they can identify the vegetable being described. • Once they’ve identified the correct vegetable, have them “feed” the appropriate animal. • Continue playing until all of the vegetables have been “eaten”. • Take your kids (and the vegetable cards) to the grocery store or farmers market. See if they can find each of the vegetables featured. • Purchase some vegetables that your kids haven’t tried before. Have a taste test with them.